A wrong way car accident can be devastating, causing catastrophic or fatal injuries in many cases. Often, the driver is unaware of traveling in the wrong direction until it is too late so that collisions are at a high rate of speed and are typically head-on. If you were injured in a wrong direction car accident or a loved one was fatally injured, contact a wrong way car accident lawyer to handle the liability and medical issues that will arise. An added factor is that the victim may take extreme evasive maneuvers to avoid a head-on collision and crash into other vehicles, objects or pedestrians. Some cities are installing additional signs or sensors on some roadways that flash a wrong way message to the motorist who is traveling in the wrong direction, though these measures are costly and not many can afford the expense unless such accidents become all too common. Wrong way drivers must be held accountable for not recognizing that they are traveling in the opposite direction. If intoxicated, police will attempt to have the driver take a test of their blood alcohol content. Even if the driver refuses testing, a hastily issued search warrant can authorize the police to forcibly extract one in a fatal injury or felony DUI case. If texting or cell phone use is suspected, your wrong way car accident lawyer can subpoena cell phone records and compare them to the time of the accident to see if it was a factor. A wrong direction car accident may have been the result of defective auto equipment. A defective steering mechanism or a blown out tire may have caused the vehicle to enter traffic coming from the opposite direction. If so, the product designer and manufacturer may be held at fault. 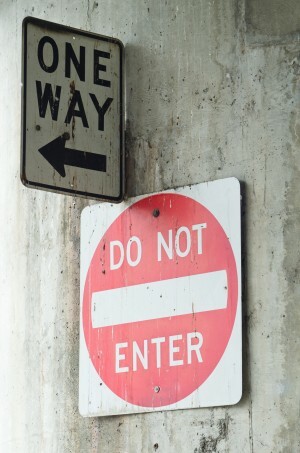 If the lack of signage or it having been hidden by foliage or other obstruction is a reason why a motorist entered a wrong way street, then the municipality may be held at fault. These are difficult cases with manufacturers and cities defended by teams of aggressive lawyers. A head-on or high speed accident in a wrong way car accident can produce devastating injuries. Paralysis, traumatic brain damage, broken limbs, broken pelvis, disfigurement and other serious injuries can result. In many cases, the responsible party’s auto liability coverage is inadequate to cover the damages. In such cases, retaining diligent and knowledgeable wrong way car accident lawyers like Neil Burns and Roshan Jain is imperative if you want to get the compensation your case deserves. 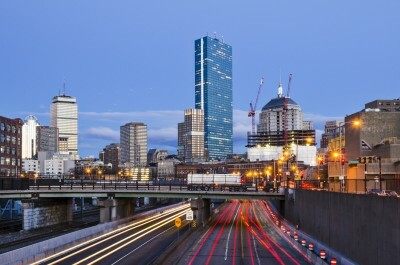 Call Boston Law Firm Burns & Jain if you or a loved one suffered serious or fatal injuries in any car accident for an analysis of your case and discussion of the issues involved.